Jill Flint at the HELP USA and Oneida Indian Nation Feed Hundreds of NYC's Homeless for "Our Heritage of HELPing" Campaign. Jill Flint at the Target "Falling for You" NY event. Jill Flint at the New York premiere of "Rabbit Hole." Jill Flint at the 2011 Wired Store opening night party. 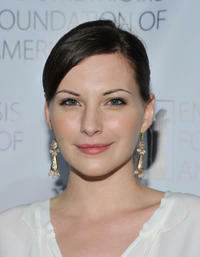 Jill Flint at the Endometriosis Foundation of America's 3rd Annual Blossom Ball. Jill Flint at the Hamptons and Gotham Magazine's summer celebration.